The MuayThai Premier League comes to Holland this weekend, and Canadian fighter Sandra Bastian takes on Julie Kitchen from Britain at 63.5 kgs. Sandra took some time out from training for a virtual-chat with us. Her fight record stands at 31 wins 9 losses 16 KO as an amateur MuayThai fighter and 4 wins 1 loss 1 KO as a pro. Sandra's trophy cupboard is just a little full with belts going back to her 2004 North American title and silver at the IFMA world championships. More space was needed in 2006 with for a gold medal at the IFMAs and ‘Best Female Fighter’. Three years ago she was WKA World Champion, and took bronze at the IFMA games. Tall with the rangy muscles of someone who punches a bag more often than she lifts weights, Bastian says the sport is so much more than fighting. “What other sport pushes you to your limits, lets you travel the world and meet the most amazing people?" It is a community of people that come together as one. 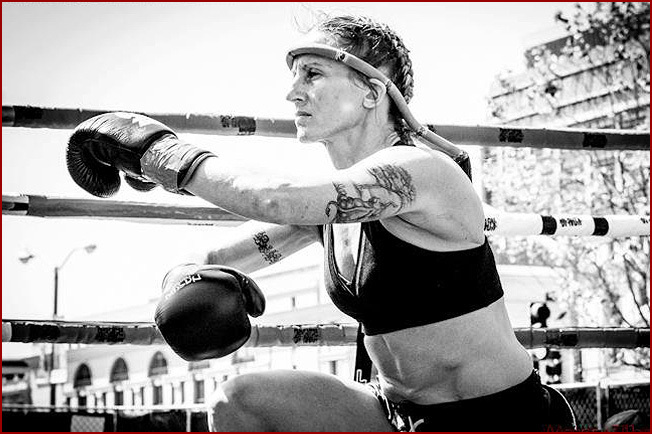 I am so thrilled to have found Muay Thai.” So even with all that bling, she still has the drive to compete. Women fighters get to compete internationally quite early in their careers, often due to a lack of fighters in their home country. This can be quite a learning experience, says Bastian who fights out of Mike Miles’s gym in Calgary, Alberta. “I don't believe countries make styles. Everyone I have fought has had their own way of doing certain things and each one of them has taught me something,” she says. At 42 Bastian has enough experience to remember when just meeting another woman fighter was special. Looking at the growing scene today, she sounds a little envious of the options opening up now. And not to leave anyone out, she adds that she ‘also loves dearly” her boyfriend of four years, Chris. 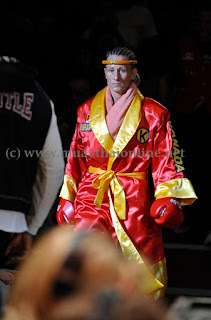 Sandra will get in the ring on Saturday with talented British fighter Julie Kitchen – who brings 13 world titles from different bodies to the table – and her final words are the ones every coach loves to hear. The other women's fight on Saturday at the MPL is between Valentina Shevchenko, Peru and Ilona Wijmans, Holland. 42!!! Wow good on you Sandra.... wow its even making me think ill come back after having a baby!! Looking forward to seein the result for this one!! @Caley - So two things - 1, she is incredible. I just assume fighters are in their 20s or 30s, inspiring stuff. 2 - are you pregnant?! :) and if not, when's your own next fight? Hardly an interview but a great article. Love to see an Alberta athlete achieving great things. @Anon - thanks ...I think! And yes it's great to see Sandra still out there and still winning.